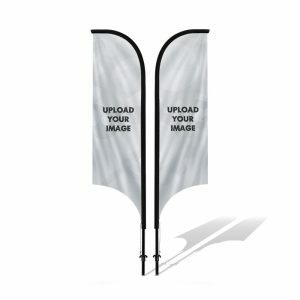 Hit the beach this summer and let your custom printed beach or advertising flags sell themselves. 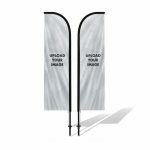 Order banner flags with your logo or slogan today and start promoting your business. 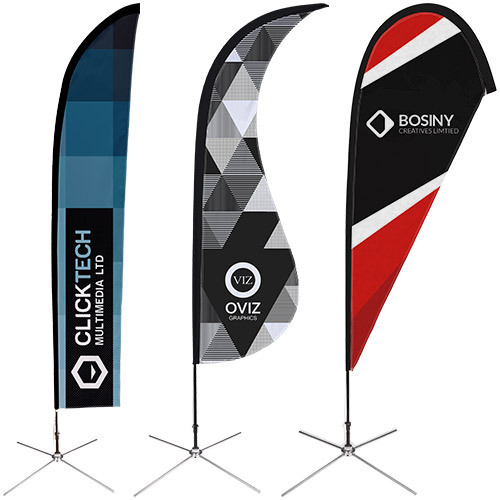 Banner flags are great for use, both indoors and out. No breeze, no problem our banner flags fly high even in still circumstances. 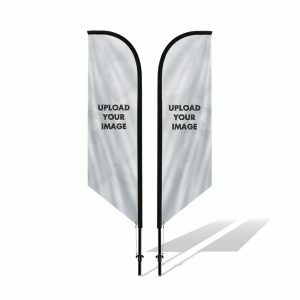 The banner flags are printed on one or two sides, giving you a much better quality flag with two sided print. printed on 115gsm long life canvas. 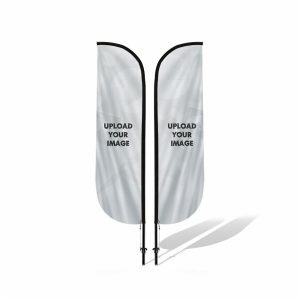 The flag is either printed on one side, or both. 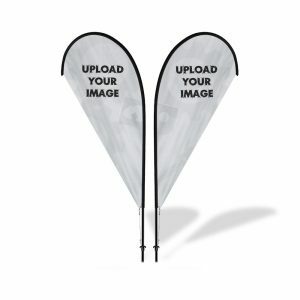 Flags include a pole, the printed flag, and a base. Delivery is also included to any UK Address. Buy two and get £10 off!